TOKYO -- Toyota Motor Corp. is packing the redesigned 11th-generation Corolla with new technologies in a bid to give the compact a more upscale feel. 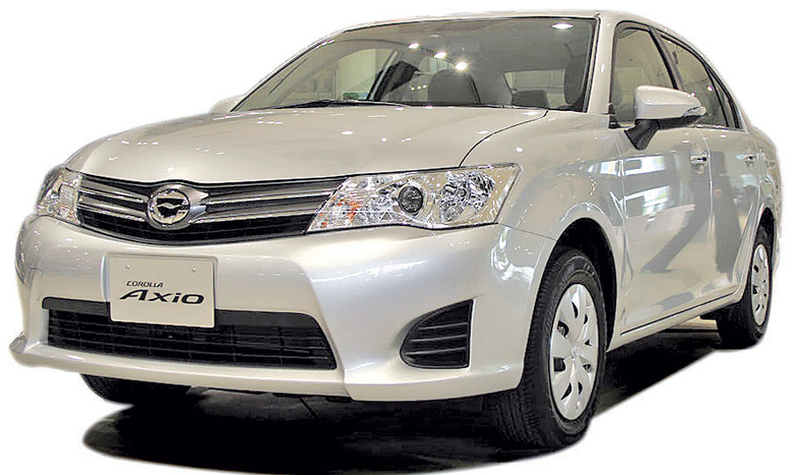 Standard or optional on the Japanese version of the Corolla are such features as climate-controlled seats, automatic high-beam headlamp dimmers, safety belts with pre-tensioners and interior lights that turn off automatically. The Japanese version went on sale this month. It's not clear whether those features will be offered in the overseas version. But Hiroya Fujita, chief engineer of the Japanese Corolla, says Toyota wants as many common parts as possible in all Corolla variants worldwide. The Japan Corolla differs in size and performance from the overseas sibling sold with the Corolla nameplate in the United States. The two cars even get separate chief engineers. Toyota plans to announce rollout timing for the overseas versions next spring. While the Corolla sedan in Japan tops out with a 1.5-liter engine, the U.S. version is expected to get a 1.8-liter powerplant. The U.S. version also will be wider, longer and slightly taller than its Japanese counterpart, Fujita said during a recent test drive in Tokyo. The interiors of the Japan and U.S. versions will be similar, but exterior styling -- especially the front fascia and grille -- are likely to differ, the chief engineer added. Fujita, who is not directly responsible for the international version, would not say what features would be carried over to the U.S. Corolla. But he said that tougher global competition in the small-car market is spurring Toyota to raise its game. -- Optional stop-start technology to save fuel. -- A lightweight resin back door for the wagon. -- Standard side and side curtain shield airbags. -- Stability control on all models. The Japan version of the Corolla is being assembled at Toyota's Miyagi factory in northern Japan, which also makes the Yaris for export to North America. It will be sold mainly in Japan, with limited exports to New Zealand and Hong Kong. In North America, the current U.S. version of the Corolla is assembled at Toyota's new factory in Tupelo, Miss., and in Cambridge, Ontario.